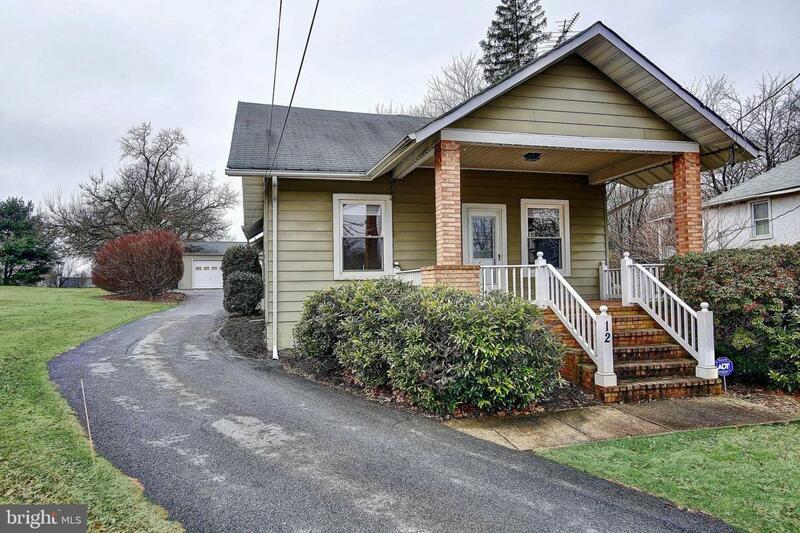 Immaculate, charming 2 level Craftsman home located in the Historic District of Mount Airy, MD! Close to 3,000 square feet. The main level showcases a brightly lit living room with brick fireplace, eat-in kitchen with an attached family room, and formal dining room. Also on the main level is the 4 bedrooms and 2 full bathrooms including the master suite with attached master bath. Carpeting lies over solid hardwood throughout home and could easily be refinished! The lower level is finished basement with utility room, bar, and one wall featuring wall-to-wall custom cabinets. The property also includes a detached oversized building that houses a fully finished operable business space with a half bath, entry ramp, and parking lot which has been fully permitted by the county with lots of potential - dog grooming, daycare, studio, endless opportunities for sole proprietors! Enjoy sitting on your spacious front porch or entertaining family and guests on the back patio! The backyard has a fenced side yard. The home is situated on ~ an acre in a beautiful location near excellent schools and shopping and dining in Mount Airy. Within 30 min. of Frederick & Gaithersburg, close to Eldersburg and New Market!